Phonographic Copyright (p) – Sony BMG Music Entertainment España, S.L. Copyright (c) – Sony BMG Music Entertainment España, S.L. Marketed By – Sony BMG Music Entertainment España, S.L. 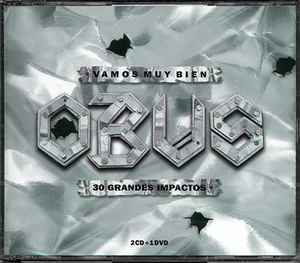 Distributed By – Sony BMG Music Entertainment España, S.L. Issued in double standard FAT jewel case. DVD shows many shows from TVE archive.